Ramon Rivera Maldonado, 81, of New Britain, passed peacefully on Wednesday, Oct. 24, 2018, surrounded by his loving family at the Hospital of Central Connecticut in New Britain. Born in Ponce, Puerto Rico, he was the son of the late Alberto Rivera and Dominga Maldonado. 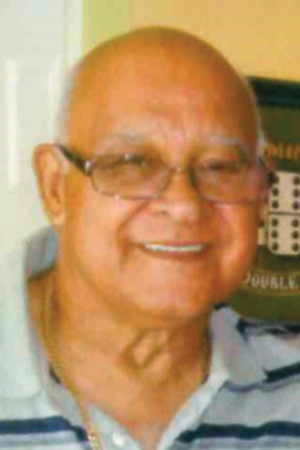 Ramon was a New Britain resident for the past 40 years. He was formerly employed by the Hospital for Special Care for 24 years and previously employed by Cousin’s Bakery. He attended St. Mary’s Church. Ramon had a passion for cars and his natural mastery of mechanics allowed him to enjoy fixing them in his spare time. He was a dedicated family man always there to provide love and support to those dear to him. He was also a movie enthusiast with an extensive collection of all genres with favorites being, action, suspense/thrillers, and old Westerns. Surviving are his wife and best friend of 55 years, Gina Rivera; three sons, Richie Rivera and girlfriend, Vanessa Nieves of St. Petersburg, Fla., Ramon Albert Rivera and girlfriend, Sulma Avenancio of New Britain, and Jeffrey Rivera and his wife, Shannon of Bristol; a brother, Juan Soto of Puerto Rico; nine grandchildren, Irene, Jeremy, Monica, Gia, Shaidah, Alisha, Jazzya, Richie Jr. and Charli, nine great-grandchildren; and many nieces and nephews. Ramon was predeceased by his sister, Luz D. Pacheco, brothers, Carlos Soto and Jose Soto; and granddaughter, Lynette. He was loved and adored by all who knew him and will truly be missed and remembered always. Posted in New Britain Herald, on Thursday, 25 October 2018 21:30. Updated: Thursday, 25 October 2018 21:58.